This light, luminescent moisturizer is terrific when you want hydration with NO greasy feel. Mixed with a small drop of foundation, it makes for a TINTED moisturizer, too. Those with drier skin might like the "for dry sensitive skin" version better. Side Note: Branching out from book reviews because the Philosphy products are so great! I have been using this moisturizer for a little over a week.At first it was great, my skin looked radiant.But over the last few days, my cheeks have been burning.My boyfriend noticed that my cheeks were looking lighter, and it turns out that burning feeling, was actually lightening my skin, and burning it.My cheeks feel sunburnt, and it looks like I have a tiny sun spot. 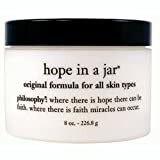 Thank God I caught it early.Hope in a Jar just became "Hope in the Trash" because that is exactly where it went.I just washed my face, and it feels ohhhh so much better.Be careful, you may want to try the sensitive skin version first, because the acid in this stuff is pretty potent!I recommend anything from DDF or just plain ol' Neutrogena. Good Luck! I love this product, it is absorbed into the skin and no stickyness afterwards.It has really changed my skin and I will always use it. Everyone should try this great product, because it's worth every penny. 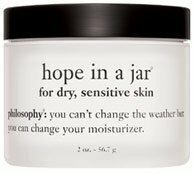 I love philosophy products in general, because I think they are effective.But I am not so impressed with hope in a jar as a facial moisturizer.I bought this product for my mother-in-law and hope in a jar dry sensitive for my mother who are in their fifties, and they love it.If you are like me, in your mid-twenties, with combination skin and visible pores, this moisturizer, though very light, may still be too rich for you. 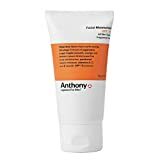 However, it is nice to put on after you've done a relatively strong treatment, such as an in-home peel, or after you've had a facial.But it is a perfect body moisturizer for me, only very expensive. I ordered some 3-in-1 shampoo, conditioner and shower gels from the Philosophy web site. I received a sample of Hope in a Jar, so I tried it. I couldn't believe how amazingly light and fluffy the moisturizer was. It is truly like marshmallow fluff as another user had mentioned. I am not one to wear make-up on a daily basis. 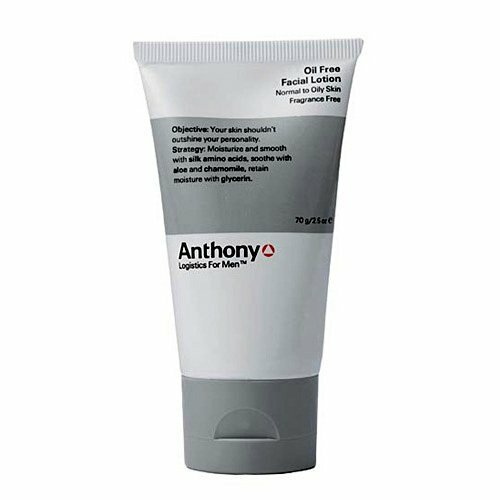 When I put this moisturizer on my face, I swear it gave my skin an even tone and appearance. I am definitely going to order the full size to use every day. Here is the PERFECT product for aging skin, or younger skin that is especially dry. 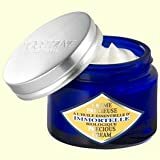 It is a great night cream, that absorbs quickly, soothes the "tight" feeling of dry skin, and seems to diminish the appearance of fine lines. Side Note: Branching out from book reviews, because the Philosophy products are so good! This is an indulgence in all senses of the word, but i've never felt my face so soft afterwards. NEVER. I've tried all sorts of exfoliants, but this one left my skin so soft and smooth that I couldn't stop touching my face. The scrub is non-irritating and highly effective, and after rinsing it off your skin will be incredibly soft. Amazing!Spa like results instantly.TRUST ME! 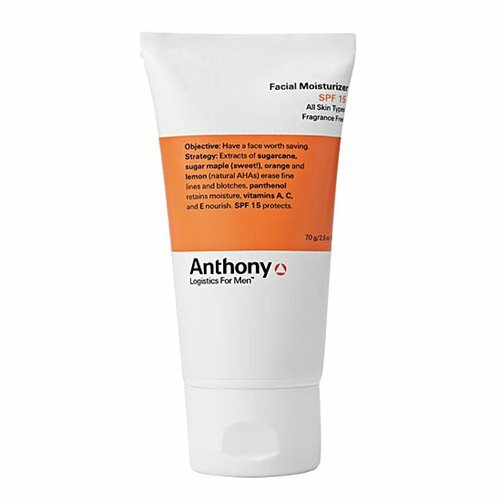 Seriously, this is amazing!Totally worth the money.I saw results the first time I used it.My skin is glowing and smooth.I had almost giving up on my face till I switched to Philosophy.Now I am hooked! Now you can visibly reduce the overall length, depth and number of deep expression lines around your eyes, mouth and forehead, the areas that are in motion whenever you show emotion. Our exclusive multi-patent pending Bo-Hylurox™ technology - a powerful blend of natural active ingredients.How it works: Relaxes with Portulaca: An Avon patent-pending extract helps you lose those hard-to-treat creases while keeping your facial expressions, naturally.Fills with a booster: A multi-action complex boost Hyaluronic Acid, a gel-like substance that gives skin its fulness, helping the formula to fill in deep creases.With every drop discover the at-home alternative to line-relaxing injections.1 fl. 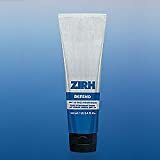 oz.Proven results: Instantly reduces crow's feet and frown lines.After 1 week diminishes the appearance of deep lines and wrinkles around eyes and forehead.For optimal results, use with Clinical Line and Wrinkle Corrector. 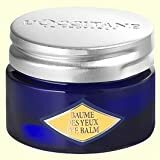 The number of products offered by the acclaimed Dr. N. V. Perricone has increased dramatically since he first came to my attention, perhaps three years ago.At times, in any line, a plethora of offerings can be confusing.From what I've experienced,, this is a must-have for those who use his products. The word "disciples" was deliberately chosen for this review because I think one should stick to the same line of products when it comes to skin care.Changing around is fine when it comes to color, but I've yet to be convinced that changing skin care routines from month to benefits skin.Regrettably, I've yet to follow my own good advice.I do wander off, more frequently than anyone should, but eventually return to this Amine Complex Face Lift. 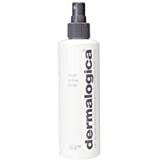 It's a very light weight product that comes in the traditional Perricone bottle with a pump. The 2 oz. bottle lasts me almost 3 months as it takes very little to spread over the face and neck area.One mistake I did make early on was not to follow instructions exactly and did not begin at the hairline then down to the face and behind the ears.It does make a difference when you read the enclosed literature first! 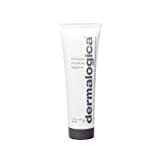 Bioglycolic Cream is a highly moisturizing resurfacing agent that is suitable for all skin types. It has a unique barrier emollient that helps to retain moisture in the stratum corneum. In addition, the benefits of glycolic acid have been greatly enhanced by incorporating a unique phytoamine bio-complex along with hyaluronic acid. These constituents mimic the water attracting characteristics of substances in the intercellular matrix of the skin. Our advanced formula will achieve results previously beyond the scope of glycolic acid. 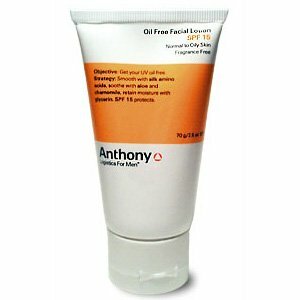 All skin types as a night cream; may be used as a day cream by drier skin types. Antioxidant enzyme Superoxide Dismutase, Vitamins A and E, and Ginkgo Biloba help prevent daily damage caused by free radicals. Soothing Coneflower and Hydrocotyl, combined with botanical extracts of Grape Seed and Wild Yam, help repair prematurely aging skin, leaving it firm and smooth. Fragrance free. Professional recommendation advised. Vitamin C and E, with Ginkgo Biloba, help prevent daily damage caused by free radicals. I agree with most of the other reviews. This moisturizer does help my skin, but I can't apply my foundation afterwards because it sort of balls up or gets gummy on my face. It doesn't matter how much or how little moisturizer is applied on my face or what brand of make-up is applied. So I use this moisturizer at night and on weekends when I don't wear any make-up. I got a small jar of this when I bought the medical bag with smaller sizes of different products. I loved it. 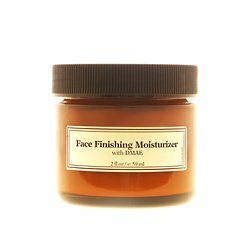 It is so light and fresh and a perfect topping to any other face treatment. I thought from its name that it was just a plain moisturizer and it doesn't make big claims like so many other Perricone products. I was impressed though to see it contained Alpha Lipoic Acid and DMEA. I use the eye cream with Lipoic Acid and take it in pill form along with DMEA. I've had great results with the eye cream and supplements. So this little moistuizer has science behind it also. Although he's built an empire on expensive skin care routines I believe Dr. Perricone really believes in what he's doing. He does put himself out there. Well, what I thought was a humble moisturizer also includes cutting edge ingredients (I know there's some controversy over Perricone but brilliant new ideas are often greeted with naysayers). This is not one of his more expensive products and you don't need to use a lot to get, as the name implies, a very nice finish to the skin. It has a perfect texture and and a delicate rose scent. It delivers just the right amount of moisture. You're not laying out $570 for the neuropeptide lotion which may, of course, be worth it. Time will have to tell with that one. But for $50 I can't imagine anyone not liking this moisturizer. Noticeable difference after only 1 use! I LOVE, repeat LOVE this moisturizer. I had noticed my skin breaking out more and more often and being 40 just did not think this should be, especially as I have never been prone to breaking out, even as a teen.Since I had been using the same line of skin care product for 20 years, I decided that my 40 year old skin was not the same as my 20 year old skin and that I needed to make a change.I bought the Perricone pore cleanser and this day cream and I noticed a HUGE difference in the overall appearance of my skin after just one use.After three days, the only thing left of my rashy breakout areas was a little patchy dry skin and now after five days my skin is as smooth and clear as a baby's bottom! I do not think I will ever buy from another skin care line.These products are awesome!